FIFA Ultimate Team 19 (FUT 19) Kits kits for Dream League Soccer 2018, and the package includes complete with home kits, away and third. All Goalkeeper kits are also included. This kits also can use in First Touch Soccer 2015 (FTS15). EA Sports recently unveiled the new FIFA 19 Ultimate Team jersey. The FIFA 19 Ultimate Team jersey has been designed by Argentine graphic designer Emilio Sansolini for the fourth consecutive year. 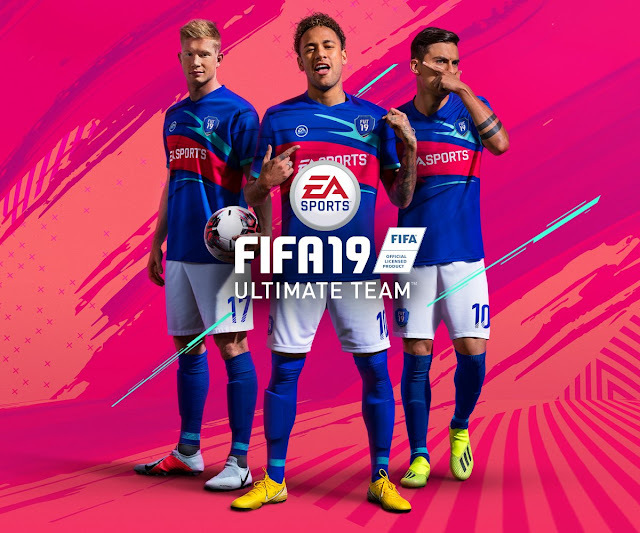 The new Fifa 19 Ultimate Team Kit is blue with an elegant red and turquoise graphic design on the front. He comes with the EA Sports logo on the right chest and the FUT 19 logo on the left side of the chest. 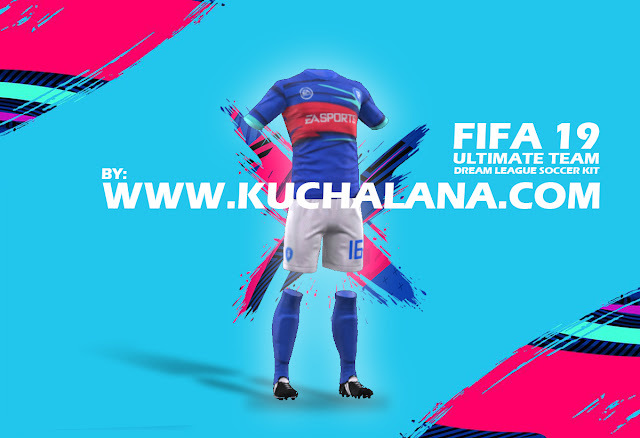 Please visit this to get more FIFA Ultimate Team Kit for Dream League Soccer kit. 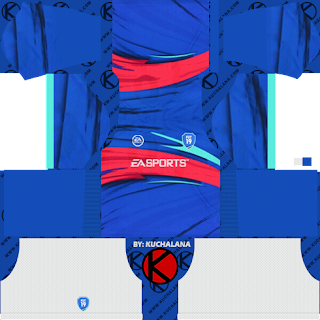 38 Komen untuk "FIFA Ultimate Team 19 (FUT 19) Kits - Dream League Soccer Kits"
Please please fix Watford 18/19 kit. Please make the kits of Inter Miami CF!!! you have uploaded only the home kit and the rest you have forgotten. Please I need all kits of the package asap for DLS. Copy and paste FUT 19 KITS!!!!! !